2/2.5 custom built main home with two potential rental opportunities on cleared, beautiful pasture land. 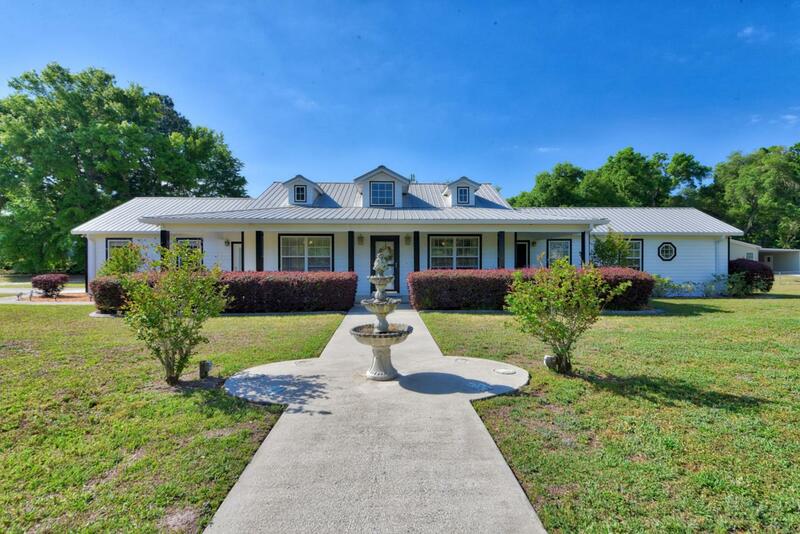 Main home constructed of hardy board siding and insulated interior walls includes all tile flooring, open floor plan and offers beautiful views from front and back covered porches. 2 car garage has bonus storage room and in case of power outage, Generac is fueled by onsite propane. 36X36 barn with 250 amp service includes; office, storage/tack room, dbl garage bay and large game room/man cave w/ a half bath.Sparkling pool with deck & cabana is great for entertaining. 1st mobile home built in 2012 w/ 1512 living sq ft has large enclosed porch, private open deck, storage rm & covered carport. 2nd mobile home w/ 1404 LSF built in 2000 has a new roof, new AC, new drainfield, septic and water softener. Listing provided courtesy of Stacy Alpizar of Resolute Real Estate Llc.